Searching for tools that can help you make better decisions? We’ve got you covered. Lottery winners are faced with the question on whether they’d like to take home the prize via lump sum or annuity. USA Mega gives a comparison on how much will be the take home between the two, based on the latest Powerball and MegaMillions jackpot prize. It also includes the total computation of taxes for every state, as well as the yearly payment schedule with federal and state taxes taken into consideration. You can also find statistics, past results, and lottery play 101 on their site. AfterLotto is similar to USA Mega– it calculates the total payout after taxes for both lump sum and annuity options. It also shows example payments, specifically the initial, 10th, 20th, and final amount for 30 graduated payments over 29 years. Simply choose a state where you plan on buying the lottery ticket, hit calculate, and you can already see the payout amount. You can also view the latest winning combination, jackpot, and latest draw date. Ever wondered what your real odds are when it comes to the lottery? WebMath has a calculator that can do the task. This mathematical solving website has a lottery section which can calculate the odds of winning for a specific game. All you have to do is enter the number of balls drawn, and the lowest and highest numbers that can be chosen. For example, Powerball has 6 balls drawn, from 1 to 69; WebMath calculates the odds at 1 in 119,877,472. It also shows scenarios that are comparable to these odds. Easysurf is also similar to WebMath– it calculates lottery odds based on the number of balls drawn, and the total number of balls in the pool. One major difference is that Easysurf has different calculators for games with and without bonus balls, multi-pool lotteries, and Keno type lotteries, for a more accurate computation of odds. It also has a calculator for games where the exact position counts– something other odds calculator doesn’t have. As a chess player for most of his life, Sergey Tabin understands the importance of the right strategies when it comes to playing a game. When he took a break with chess and tried out the lottery, he realized that the same principle applies- if you have the right strategy, then you can pick better numbers. He studied the different systems available and found that none of them are remotely helpful, so he decided to create his own formula which can be used for games where you pick 5 to 7 games. 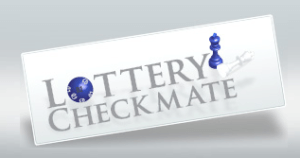 The Lottery Checkmate System does away with headache-inducing mathematical formulas and gives a simple analysis of lottery games, dos and don’ts when playing, a step by step demo, and periodic updates as Sergey sees improvements needed in the system. Mathematical equations and probabilities involving the lottery can take days, even weeks to understand. Loto Rainbow simplifies the concepts by assigning colors to the possible set of numbers that has the highest probability to be drawn. These colored templates are based on tens, and while you don’t have the exact probable numbers, you have a smaller range to choose from when placing your bets. As for the prediction itself, the basis is on the game’s previous drawing behaviour. Keep in mind though that the past does not affect the current draws in the lottery. Lottery-Analyst gives a detailed statistical analysis of lottery games to help in picking your lottery numbers. It works with a whole variety of lottery games not only in the US, but also worldwide. They make use of several mathematical processes like the theory of probability, advanced combination logic, and neural network methods for the analysis, and provide data charts and matrix for a better look at the result patterns and trends. Maxodds lets you see which numbers are already chosen by other players so you can pick the unplayed ones. They created a secured number list where all combinations of a specific game are listed, and the combinations which have already been chosen are tracked. It is also useful for monitoring the numbers that you have chosen over time. They also have some strategies offered for choosing the numbers, based on historical data and probability. Expert Lotto was created by individuals that have extensive experience in mathematical process modelling. As a lottery tool, it is meant to have several purposes such as analyzing historical winning numbers, recognizing repeating patterns, and extracting a smaller set of combinations with a higher probability of being drawn. With these information in your hands, you can even develop your own strategy for playing the lottery. The Lotto Site allows you to create lottery wheels, print bet slips, and check on the statistics of all lottery drawings. A lottery wheel is the set of all possible combinations of multiple numbers in the game, and from this set, you can create a smaller set with a higher probability of being drawn, increasing your chances of winning. Don’t fret if you don’t understand the whole concept yet, they have a FAQ section which perfectly explains the process, complete with guides on how to use their tool. SamLotto is a fully featured lottery analysis and prediction software which works with over 200 lotteries all over the globe. The software supposedly eliminates up to 90% of bad combinations based on previous draws for a closer range on the winning numbers. It also gets updated with the latest draw data and results, and a year’s worth of free software updates. It’s a bit pricey, though, but $169 is a good investment for a lottery tool which can give you insight on how to play better. Aside from having a list of lottery winning numbers from way, way back, The Lucky Gene keeps a chart on how frequently a number is drawn from a specific lottery, effectively creating a statistic of a number’s frequency. You can customize the chart to reflect a specific range of dates, or the past x number of days. They carry a wide variety of lottery games within the US and Canada, as well as international and national lotteries from various countries like Australia, Ireland, New Zealand, the Philippines, South Africa, and the UK. If you want fate to take over on your bets, then you may be interested in using a random number picker. This way, you don’t have to rack your brains trying to think of the numbers that you’ll pick. Lucky Lottery Numbers lets you generate numbers where you can set the minimum and maximum value, count, and uniqueness. You also have the choice to enter your zodiac sign, good luck charm, numbers that you don’t want to appear, and numbers that will always be present, if you have a gut feeling about these numbers. They also have auto generate options for several lotteries like Mega Millions, Powerball, Euromillions, and Lotto Max. Programs usually generate random numbers using a mathematical formula, which means while the numbers seem random to humans and to statistical testing, they are actually predictable if you know the formula and its starting value. Random.org offers true random numbers, which are based from atmospheric noise, which they claim is better than computer algorithm generated values when it comes to chance games, like dice rolls and lottery draws. Their tool is used not only for games, but for scientific applications, art, and music as well. For quick picks, you can set the number of tickets for the specific lottery, as well as the number count and range. If you prefer to use your mobile device to generate random numbers for the game, then the Random Numbers Generator app is for you. All you need to do is enter a minimum and maximum value and whether duplication is allowed, and you’re all set. You can also enter numbers that you want to be ignored, and generate a list of combinations then pick one randomly. The app is exclusive to Android devices. 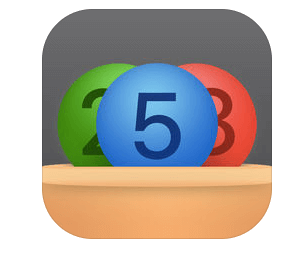 Lotto Machine 4 is a random number generator app for iOS devices. Instead of simply generating numbers in texts, this one appeals more to the eyes by showing the lottery ball machine get into work with the balls selected one by one. You can even control the spinning drum with the accelerometer and have a little fun while waiting for the numbers. Although Research Randomizer is originally designed for individuals doing a research, it can be used to generate quick picks for your lottery game as well. The interface is modern, clean, and intuitive, and you don’t really need a lot of reading to understand how their tool works. You can define the number of sets generated, how many numbers per set, number range, uniqueness, and sort order, and you can even opt to place markers for each number. My Free Post keeps it simple- it’s a website where you can find the latest winning numbers of lottery games, from international to US state-wide lotteries. While their layout is a bit outdated, the contents are always updated with the current winning draw for all the games offered by the specific lottery. They have the list of winnings draws from lotteries in Canada, Hong Kong, Malaysia, Singapore, UK and US. FreeLotto has their own set of lottery games, with their own mechanics and jackpot prizes. Despite not offering the popular local and international lotteries, they have a results section for lotteries worldwide. You can find winning combinations for lotteries in the US, Canada, Argentina, Colombia, Italy, UK, Australia, Brazil, Chile, Costa Rica, France, Ireland, Italy, Mexico, Panama, Spain, and Uruguay. They also have a frequency chart, hot and cold numbers, number sets, winning combination checker, and odds calculator for each lottery. If you want to know the drawn numbers ASAP, then the Lottery Hub is perfect for you. It is a mobile app which lets you watch lottery drawings as they happen live. Aside from this feature, you can also store your numbers for a quick comparison once the winning numbers are drawn; keep track of your favorite lottery games’ winning numbers; and see other pertinent information about the game. The app is available both for iOS and Android devices for no cost, so you can watch the draws wherever you are. Interested in reading more about lottery prediction software? Find some of the better ones we recommend in the following link. Check out our other article: Do lottery prediction tools really work? for more information. Hey, Danny. Sounds like an interesting site. We’ll see if we can check it out. Thanks!